For the last year, I've been realising that I need to learn how to create objects for 3D printing. It feels like it'll be a useful skill within about 1-3 years. Step 1: Find out what file type you use for 3D objects. Google tells me that they're .obj and and .stl files. 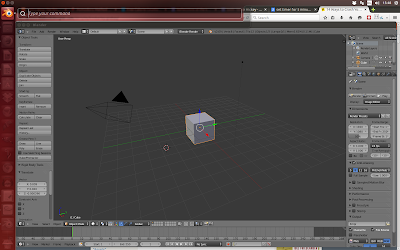 Step 2: Find an open-source programme to create 3D objects. I've chosen Blender. and gradually making sense of them. My experience with teaching myself GIMP and Scribus is that whatever you google for, there's usually a tutorial. ... and I've learned that there's a 'To Sphere' button somewhere on this screen but that I can also 'sub-divide' the object 100 times. So, that's not the way. After rebooting my computer, I try it again with different values for smoothness, but sub-division just seems to create a bunch of different spheres bulging out of the original one. Time to find a new tutorial. This 'Build a penguin' one looks like it has some good info. And success! 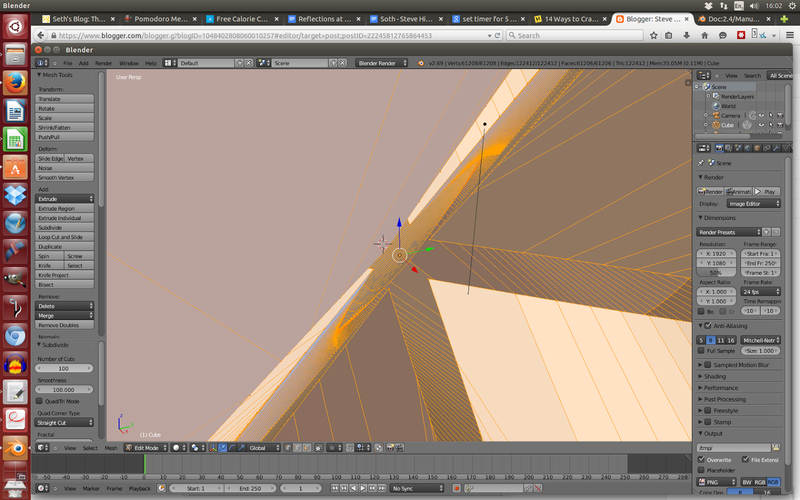 Pressing SHIFT-A > Mesh > UVSphere creates a sphere I can drag around. That Mesh menu has tonnes of options, including 'Circle. I wonder if I can create layers of it, to build a disc?